This is adapted from the ProjectWET curriculum guide. I've seen this adaptation in several different locations, so I don't know whom to officially credit. Regardless, it's a great activity and I hope you and your students enjoy it! If I ask you to describe the water cycle, what comes to mind? That's the easiest way to explain the water cycle, right? 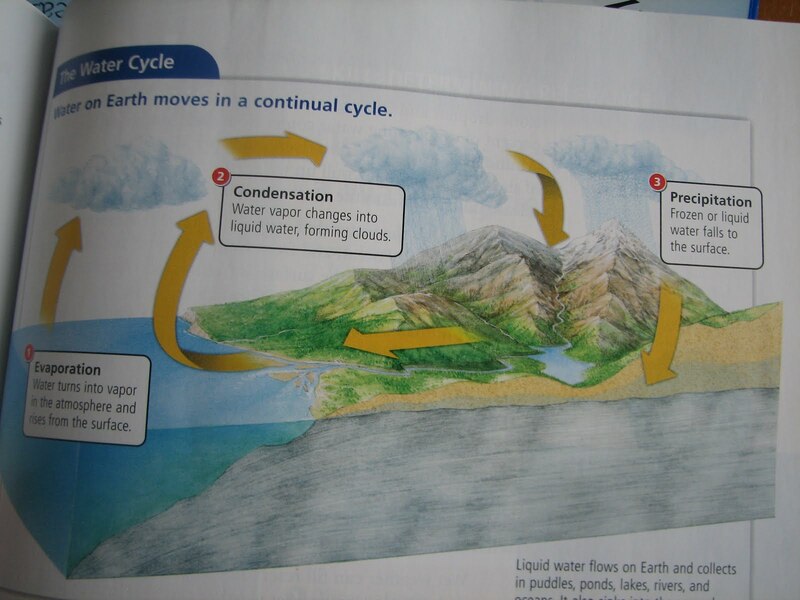 But, you're all smart people; you realize the water cycle is more than a simple circle. There are any number of different paths that water can take. How do you get your students to understand that? The ProjectWET folks created The Incredible Journey, in which students travel between 9 different stations: clouds, oceans, rivers, lakes, plants, animals, soil, glaciers and ground water. Each station is set up with an identifying sign (it could just be a large sign with the word on it, it could be a painting representing that station, or it could a collage of pictures representing that area), a large die (see instructions below) and a tub of pony beads (one color per station). 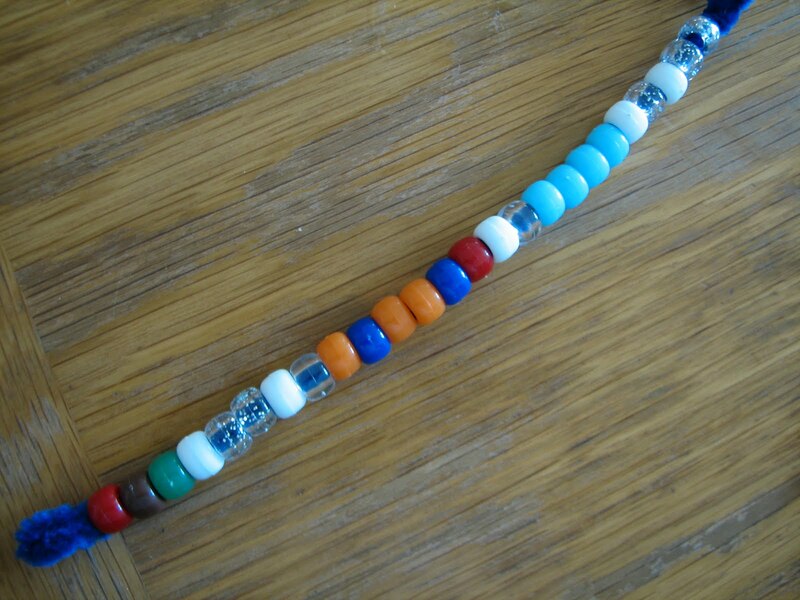 The original version of the activity has students write down where they travel, but to make things more fun and memorable, the adaptation has students use the beads to create a keychain/bracelet to document their travels as a water drop. Each student begins with a pipe cleaner (loop over one end so the beads don't slide off) at a station of their choosing. 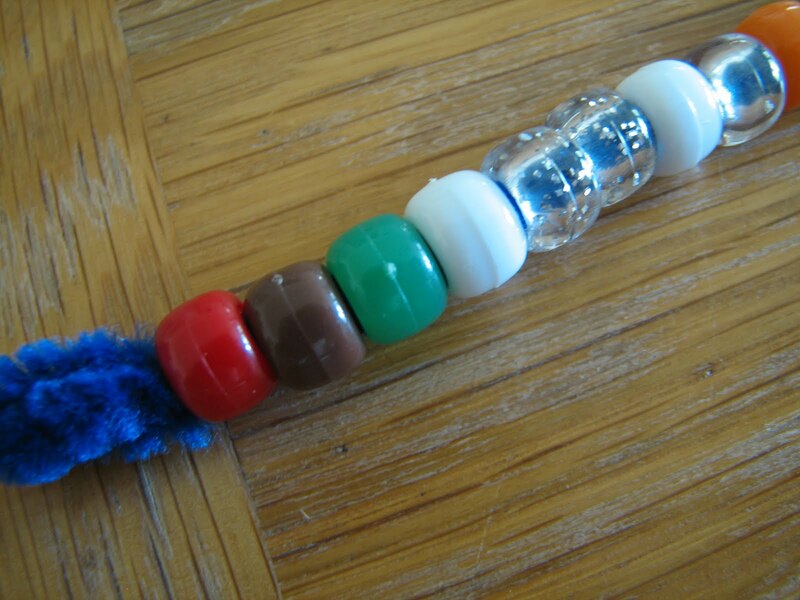 The student picks up bead from that station and slides it onto the pipe cleaner. The student then roles the die and travels to the station the die directed them to. At the new station, the student picks up a bead and adds it to the pipe cleaner and roles the die. If the student roles a "Stay" he or she remains at the same station, picking up another bead representing that station and roles the die again. It is possible to remain at the same station for a number of roles, which would be represented by several of the same color beads in a row. After the students have had the chance to visit ~24 stations, bring the group back together and talk about what happened. Use the strings of beads to question the students about where they began, where they went next, etc. Ask the students how they would have gotten from one place to another. For instance, my journey began as a drop of water in an animal. From there I traveled to the ground. How would I have gone from being in an animal to the ground? Well, the animal probably urinated; other answers could include slobber/drool, sweat, etc. How would I have gone from the clouds to the ocean? Rain (or another form of precipitation). A nice way to close the activity is to have students write about their journey - a first-person narrative of their travels and how they moved from one location to another. Use square boxes to make the dice, label the sides (see below), and cover with packing tape (just to make them last longer). 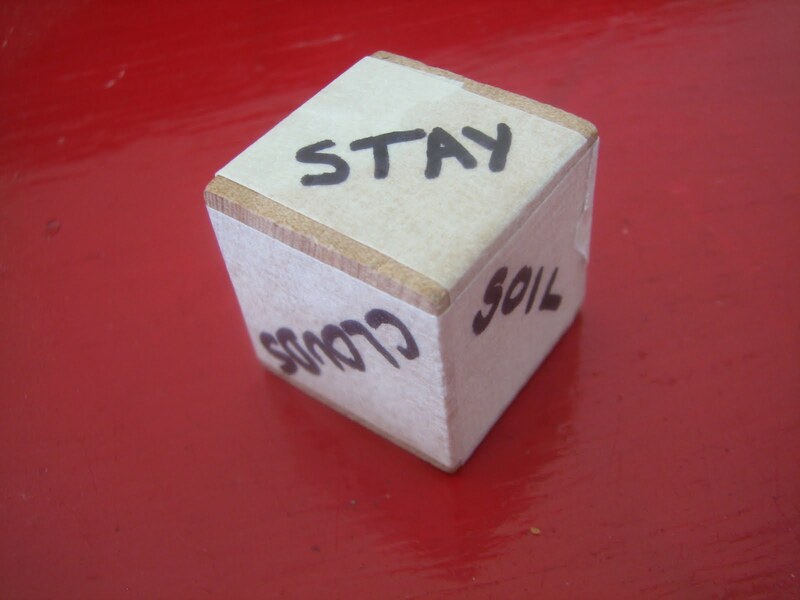 Cover wooden blocks with masking tape and label the sides (see below).